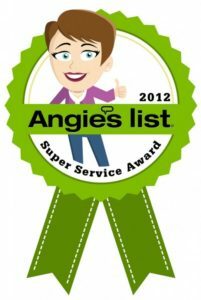 Door Store and Windows has earned the service industry-coveted 2012 Angie’s List Super Service Award, an honor awarded annually to approximately 5 percent of all the companies rated on Angie’s List, the nation’s leading provider of consumer reviews on local service companies. “The core focus of our business is really great customer service…we just happen to offer that service through the sales and installation of replacement windows and doors. This award reflects the efforts of our team at providing a consistently high level of customer service and it’s quite an honor,” says Ann Gregory. One Customer Shows Us Her Decorating idea. Send Us Yours! We see many great decorating and design examples as we are allowed into the homes of our customers and prospective customers. While this metro area probably leans more toward traditional styles with a Southern bent, Louisville is a city with an enormous variety of design styles. From Modern Contemporary to Victorian and the Eclectic styles that borrow from many styles, you don’t have to go far to find an interesting decorating or design example in Louisville. We especially love showcasing any ideas that involve doors or windows whether they are fun, interesting, or just flat-out eye-candy. Mary Ann R., a Door Store and Windows customer, recently sent us a photo of her gorgeous winter-themed window box (click photo to see full image). She crafted the design herself from purchased and homegrown greenery and we’re very impressed! We installed her window box and windows nearly 3 years ago and Mary Ann continues to make them more beautiful with her personal touch. Thanks for this lovely photo, Mary Ann. If you have a door or window design idea you want to share, email us photos along with a short description and we’ll publish them in this blog, our Facebook page, and our email newsletter (use the box at right to sign up to get it). https://doorstoreandwindows.com/wp-content/uploads/2018/06/Lesson-2-6.jpg 315 560 admin https://doorstoreandwindows.com/wp-content/uploads/2017/11/Transparency-Logo-2-300x181.png admin2012-12-21 20:23:442018-09-13 18:29:14One Customer Shows Us Her Decorating idea. Send Us Yours!